Home > Services > The Prodigy Advance utilizes a narrow-angle fan beam and directdigital detector to provide precise results in all skeletal sites, and enables clinicians to properly monitor the therapy of their patients.Additionally, the Prodigy Advance provides precise body composition results, such as fat mass and lean mass, at any part of the human body. Full- and compact-sized scanner beds are available. The Prodigy Advance utilizes a narrow-angle fan beam and directdigital detector to provide precise results in all skeletal sites, and enables clinicians to properly monitor the therapy of their patients. Additionally, the Prodigy Advance provides precise body composition results, such as fat mass and lean mass, at any part of the human body. 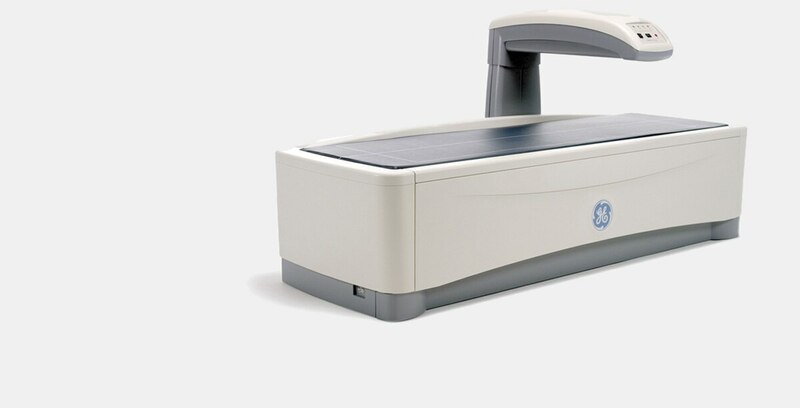 Full- and compact-sized scanner beds are available.